When searching for a used car, truck or SUV, trust Limbaugh Toyota to offer you an impressive selection, along with some of the most competitive prices around. While serving the Birmingham area for nearly 30 years, our philosophy has remained the same – offer quality products and impeccable customer service at the best price possible, and this is what we strive for with each customer who walks through our doors. Whether beginning your search online or looking around our lot, you’ll find a large selection of used and certified pre-owned vehicles from not only Toyota, but a variety of other manufacturers. Our managers regularly travel around the southeast in order to find the best possible vehicles for Birmingham drivers. No matter the vehicle you choose, you know it’s been through a rigorous inspection to ensure you’re purchasing a quality model. We even have various used car warranties, so you can purchase with confidence. From Certified Pre-Owned Toyotas to used vehicles from other manufacturers, our selection is only outmatched by our prices. All of our used models are competitively priced to where you know you’re getting a great deal even without the haggling. Along with a selection of vehicles under $10,000, we have pre-owned vehicles specials that are constantly updated with our most heavily discounted models. These are regularly updated, so if you find one you’re interested in test driving, you must act fast before it’s gone. For an exceptional buy, we encourage you to take a look at the 2017 RAV4. If room for the family, a smooth ride, and incredible safety technology sounds like a fit for you, keep reading to see all that the 2017 RAV4 has to offer. The 2017 RAV4 exemplifies the spirit of adventure more than ever before with its refreshed exterior featuring a bold front end, newly designed rear fascia and stylish wheels. Ready for all your Alabama adventures, the RAV4’s sleek exterior is offset by its interior that has been precisely designed around you and your passengers. With an interior designed for your comfort and convenience, you’ll be surrounded by some of the latest technology and comfort features. Along with available heated front seats, your passengers will enjoy the dual-zone automatic climate control that allows them to find their own level of perfect comfort. Drivers also find that the higher seating position leads to great visibility while the 8-way power adjustable front seats with driver seat memory lets them into their perfect position every time they’re behind the wheel. The cutting-edge technology doesn’t end with comfort with the available Entune premium audio system with navigation and App Suite. No matter your needs, this system offers you an unsurpassed amount of convenience features with the functionality of a smartphone. Other standard and available technology includes Siri Eyes Free, SiriusXM Satellite Radio, HD Radio, and much more. Of course, you can’t have an adventure without adequate power, and that’s why Birmingham drivers love the 2.5-liter 4-cylinder engine with three driving modes and paddle shifters, allowing them to customize their very own driving experience. While generating 176 horsepower, this setup results in an incredibly smooth ride and an exhilarating driving experience you won’t soon forget. Last, but definitely not least, is the addition of the standard safety system on the 2017 RAV4, making it an exceptionally optimal choice. No matter the trim level, all 2017 RAV4s are equipped with Toyota’s re-Collision system with Pedestrian Detection, Lane Departure Alert, Automatic High Beams, and Dynamic Radar Cruise Control. There’s no doubt that you’ll get incredible safety when you go with a used 2017 RAV4. Why Buy Your Used RAV4 at Limbaugh Toyota in Central Alabama? 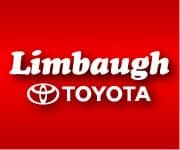 At Limbaugh Toyota, we’re proud to be your used car and truck headquarters, and we encourage you to visit us as soon as you find a used vehicle that strikes your interest. After browsing our used car selection, get pre-approved for your auto loan if you’d like before visiting the dealership. We even have low credit special financing available for those who need. No matter where you reside in Alabama, we’re just minutes from downtown Birmingham, and we hope to see you soon!